Welcome to In-Aruba.Com. We are your gateway to enjoying the perfect vacation. Aruba is the destination of choice for many people and we hope to help you be one of them. With its near perfect weather, it makes a great destination year round. With temperatures averaging in the low 80’s, the trade winds make the warm weather very easy to take. The beaches are powdery white sands on the edge of turquoise color seas. We will help you find the perfect spot to enjoy its exquisite beauty. In-Aruba.Com is the site of choice for those looking for information on Aruba. The island is home to some of the friendliest people around the globe. Even though they depend on tourism, people cannot fake friendliness at this level. Smiles and a bit of chat make any vacation better. Aruba is a self-autonomous region within the Kingdom of the Netherlands. Much of the architecture reflects its Dutch Colonial background. It also has some of the lowest crime levels in the Western Hemisphere. 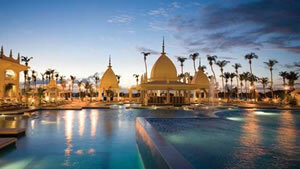 For travelers, the combination makes Aruba a destination of choice for families and couples alike. We will help you make the most of your Aruban vacation. For the best information on things to do in Aruba, In-Aruba.Com is the place to be. Outdoor activities abound. Boats are available for cruising and fishing. For the more adventurous, water skiing, jet skiing and scuba diving provide fun along with the level of risk you want. For the tamer individuals who want the water experience, snorkeling and beach swimming are a couple of ideas. If land calls to your heart, nature calls. With nature tours and bird watching excursions, you can get back to nature. If you need more mental challenges, museums and galleries populate the capital city. Archeological sites and submarine tours round out the options available for a great vacation. In-Aruba.Com can help you find the best places to stay and the right places to eat. We provide you with solid information on the hotels and rentals available for your vacation. Our restaurants listings give you a good picture of cuisine choices available to tempt your palate. With American restaurants next to native food, you will not go hungry. For a regional taste, try the Brazilian and Argentinean restaurants on the island. Sushi bars and steakhouses will let you have no meal the same during your stay. Take a look around and see how we can help you make your Aruban vacation the best of your life.